It's a Labor Day edition of Meatless Monday! Come link up your favorite meat free posts! Since Kidlet doesn't have school today I decided to make him a little muffin tin meal. 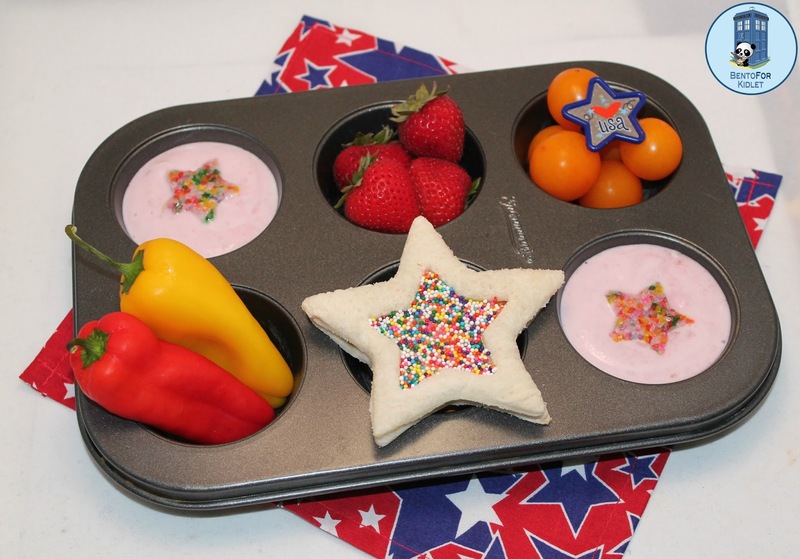 LOVE your colorful starry meal!! That is so festive! <3 Stellar lunch. What a colourful star lunch, love it! Great lunch! Thanks for the linkup!